Heaven Sent is the first TH Free & PHA Free In God We Trust son on the entire market. 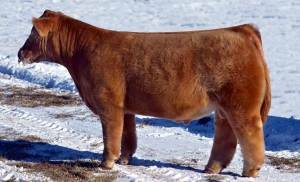 Praised at National Western Stock Show as a clean, powerful and hairy gold colored option for breeders that have been seeing successful results from IGWT first calf crop. We think he improves the IGWT traits by offering a more extended and stylish front 1/3.